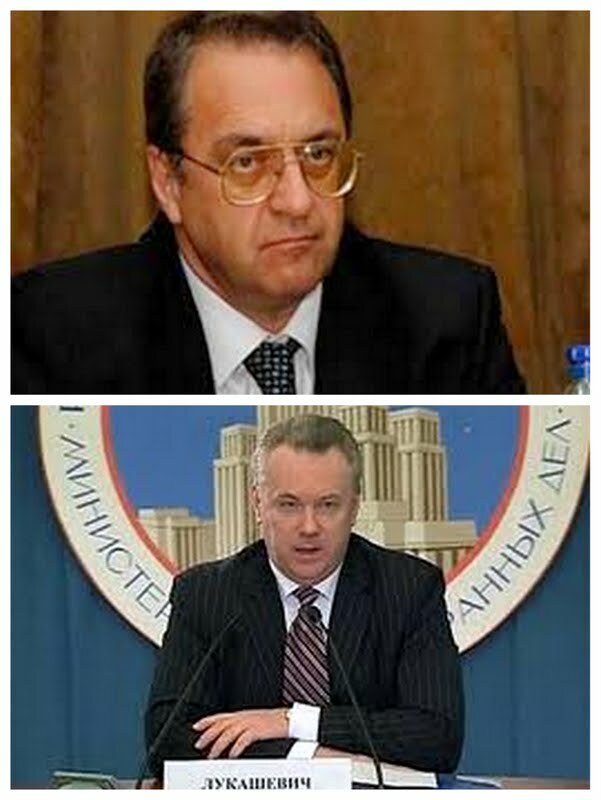 A day after the Kremlin's pointman on Syria, Deputy Foreign Minister Mikhail Bogdanov, all but conceded the end is nigh for President Bashar al-Assad, Russia's Foreign Ministry licked his assessment by insisting Moscow's position on Syria has not changed and never will. The rollback came a day after Bogdanov said Assad’s regime was losing control of Syria and might be defeated by opposition forces. “We must look squarely at the facts, and the trend now suggests that the regime and the government in Syria are losing control over more and more territory. Sadly, we cannot rule out a victory by the Syrian opposition,” Bogdanov yesterday told Russia’s Public Chamber, a Kremlin advisory group. His remarks were widely quoted by the Russian media, including the Interfax news service, RIA Novosti, RT (Russia Today), Itar-TASS and Voice of Russia. Russia, Bogdanov said, is preparing to evacuate its citizens from Syria. "We have mobilization plans and are clarifying where our citizens are located," he said. It was the first time an official at Bogdanov’s level had announced plans for an evacuation, a sign Russia no longer held out hope Assad’s regime could prevail. He said Russia had a plan to withdraw its personnel from its embassy in Damascus if necessary. Bogdanov offered a dark view of how the conflict would unfold from this point, saying it took two years for the rebels to control 60 percent of Syria's territory, and they will control it all in a year and a half. The U.S. later on Thursday commended Russia for "waking up to the reality" by acknowledging the Syrian regime's impending fall. Moscow’s negative answer came within hours, when the Russian Foreign Ministry insisted in a statement Friday that Bogdanov only was referring to the claims of the "Syrian opposition and its foreign sponsors forecasting their quick victory over the regime in Damascus." Moscow sees no alternative to a political solution to the Syrian conflict in keeping with the Action Group for Syria communiqué, which was approved at a ministerial meeting in Geneva in June, Russian Foreign Ministry spokesman Alexander Lukashevich said. "Since the Russian and foreign media are awash with remarks made by the Russian president's envoy for the Middle East and deputy foreign minister, Mikhail Bogdanov, regarding the situation in Syria, I would like to note that he has not made any statements or given special interviews to journalists in the past few days," Lukashevich said in the statement posted on the ministry's website today. “The Russian Public Chamber's debate on Dec. 13 addressed problems facing the Middle East and North Africa, including the Syrian crisis. The participants in the meeting quoted well-known statements made by representatives of the irreconcilable Syrian opposition and its foreign sponsors forecasting their quick victory over the regime in Damascus," he said. "In this context, Bogdanov once again reaffirmed Russia's uncompromising view on the absence of any alternative to a political settlement in Syria on the basis of the principles of the Action Group's final communiqué, which was approved by consensus at the ministerial meeting in Geneva on June 30 this year," Lukashevich said. Lukashevich reiterated Russia had never changed and had no intention of changing its position on Syria.